Welcome to our growing collection of downloadable E-Books. We are working on regularly adding new titles, so check back soon! Take control of your stash the tinyStudio way! The 'Boss Your Stash Notebook' is a download and print tool to help you get your stash inventoried, organised, and get you started making your own project kits and busting your stash! 36 pages at a convenient print size of either A5 or US Half Letter to choose from, easy to fold and staple and you're ready to follow the handy and beautifully illustrated tips for organising and using your stash, whether that is fiber, yarn, fabric, or threads! Easy checklists are all set to go so you can plan your crafting and make use of what you have already before going out to further enhance your stash. Your shopping will be so much easier once you know exactly what you have, and what you need! 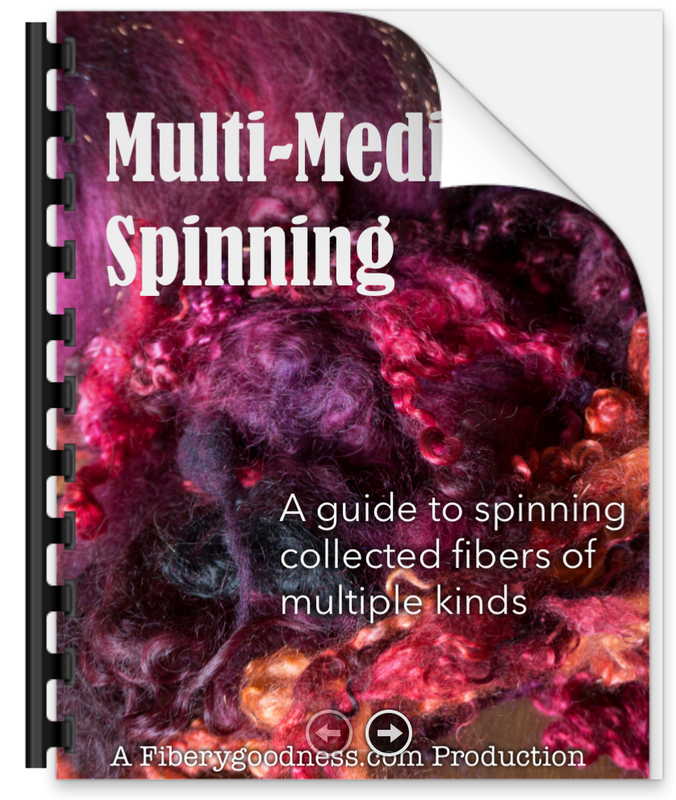 In this gorgeously presented compilation, we bring you the definitive guide to spinning fiber collections such as 'Scrapboxes' Spinning Boxes, Fiber Boxes... even the bits and pieces in your stash that you may have been hoarding but wondering how to spin them! Download and enjoy this stunning 30 page booklet and get your spin on! 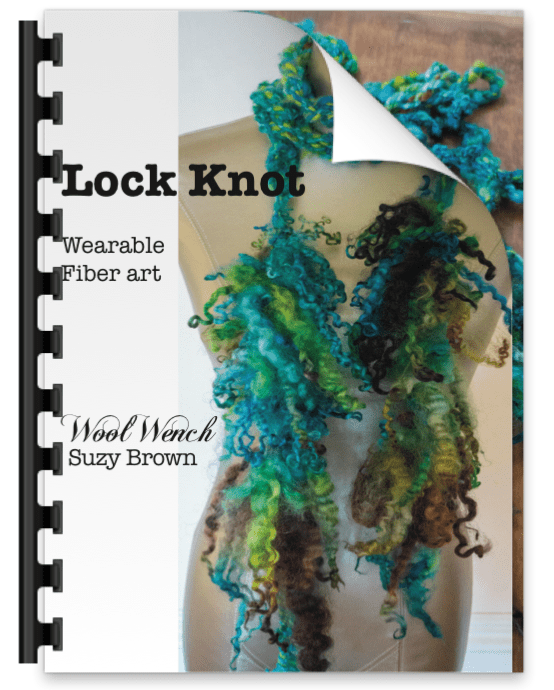 Contributors to the book include Arlene Thayer (Spin Artist) Suzy Brown (WoolWench) Laura Spinner, Melissa Yoder Ricks (Wild Hare Fiber) and Jan Massie (Spiderlady). 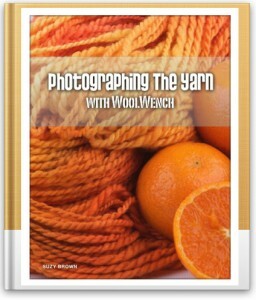 Each has contributed their inspiration and working methods for creating yarn and projects from mixed fiber collections. Free ebooklet with any purchase! 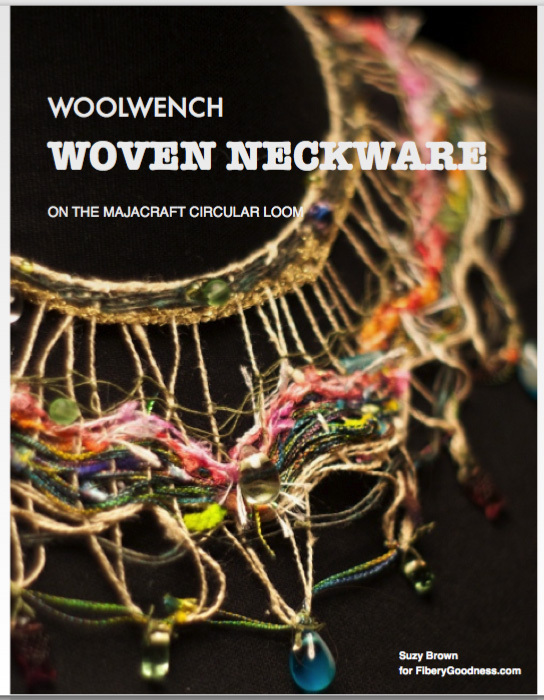 Learn a great new WoolWench technique for quickly and easily adding long locks into your yarns as you ply! Furthermore, turn your creation into this wonderful skinny scarf designed specially by Suzy for using multiple fiber types and colours in one project! Fun and easy! We love colour, we love TO colour! Boost your creativity, explore new colourways, and enjoy some colouring in pages designed just for us Fiberista's! Spinning and yarn related whimsical images ready for you to break out your pens and pencils and get colouring! Have fun with this eight page downloadable book, print onto paper or card of your choice as many times as you like (own use only). Come back for future 'add on packs' as Suzy creates new images! DIY Blending and Record sheets for self experimentation and sample building: with notes per tool type and Blending Tips. 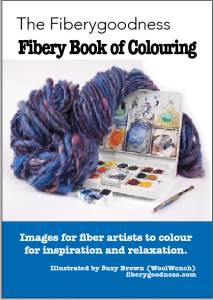 Download, print out, and Construct - a New 56 page Book, filled with information on colour blending with fiber, giving instructions per tool type on how to create beautiful effects with colour whichever way you like to prepare your fiber for spinning. Combing, carding, hackle blending, heathery fibers or dramatic effect fibers, check out the free preview for the full Index! The book includes record sheets and instructions for creating your own colour blend sample library that will be a growing source of inspiration and experimentation for you! Do you like colouring in? (I know right? Who doesn’t!) Knock yourself out with the artwork from the Journey to the Golden Fleece course Module shields, created here by Suzy in black and white line drawings just waiting for you and your favourite colours to have a play. FREE to download with any purchase! This book is packed with information and loads of eye candy. The first section is all about creating your brand and finding your uniqueness, and the second part includes detailed information on photography equipment, creating a photo studio that you can set up anywhere, in five minutes, and take the same quality photos any time of day or night. Just add this to your shopping cart along with any other Fibery-shopping-goodness item and receive the download link when you've checked out!